Phoenix Nationale distribute Global Brands to the hair and beauty sector throughout Australian and New Zealand. 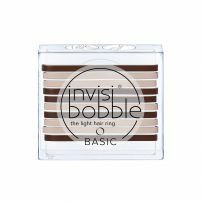 Brand portfolio includes; Invisibobble, Popband, MakeUp Eraser, Sphynx, Foamie, Tangle Angel and Pet Angel. Former Tangle Teezer Exclusive Australian distributor. commented on "Who doesn't know this problem? Achieving a perfect bun in the morning rush can be a real nightmare! Individual strands of hair end up ..."
commented on "This beautifull gift set contains a soft-touch finish Tangle Angel Original in Fuchsia (soft-touch available exclusively with the gift ..."
Please fill in your contact details and a member of our sales team will contact you shortly.